Oh! mai mai!® its a dangerous and cute typeface created by Jorge Artola. Inspired by the mai mai monster® it is fully equipped with numerals, accents, punctuation and special characters! It also includes a bonus wallpaper pack! 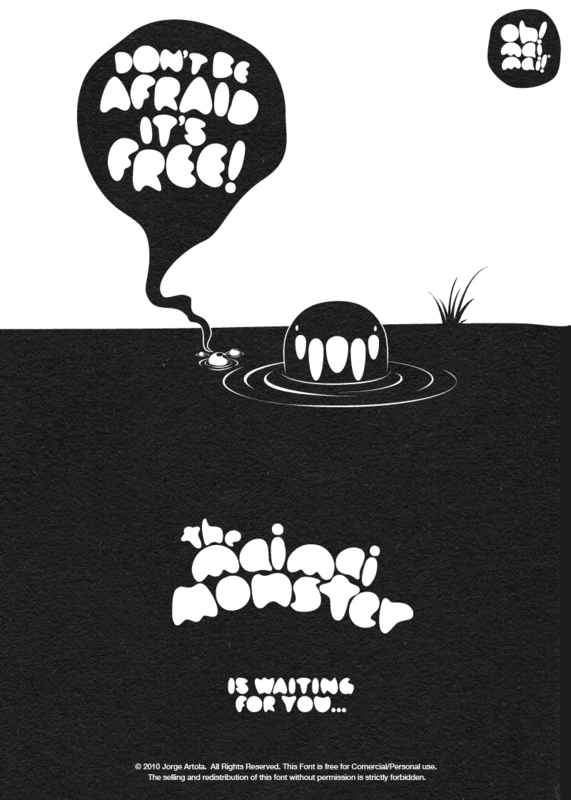 so don’t be afraid... its free!